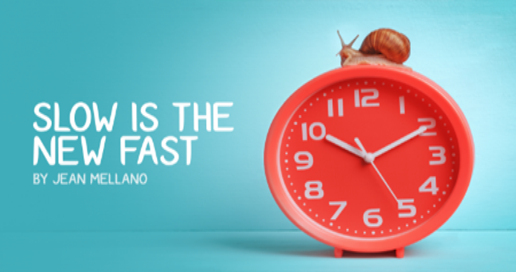 April 2019 PNMD Online "Shaky Times" is here! Dr. Chitale works with her patients on exercises and activities to retrain/relearn movements of daily life such as getting in and out of bed, getting in and out a car, standing, ability to use arms while standing, walking. The weather was typical of a New York winter’s day: cold, damp, and dreary. My spirits were equally dark and depressing. Parkinson’s disease (PD) has a way of aging people before their time. As I walked into the grocery store, I was ruminating on how much my bones ached and how fatigued I felt. When I went to purchase my items, I asked for my 10 percent senior discount — there are some benefits to getting old. The young woman behind the counter looked me in the eye and said in a sincere tone that she thought I was much younger than 65. I could tell she meant to pay me a compliment and was not going to ask me to prove my age with my driver’s license. I was so touched by her kind words that I broke down in tears. This woman’s random act of kindness blew me away. My mood transformed from melancholy to elated in seconds. She didn’t know that I was in the midst of a major pity party thinking about how old I felt. She was surprised by my tears and didn’t realize how welcome her words were to me when I was feeling miserable. The point of my sharing this brief, transformative moment of my PD journey is that kindness does matter. The simplest actions can make a huge difference to someone who may be going through a difficult time. It has been weeks since this act of kindness. However, I still smile at the thought of that simple gesture from a stranger. This was an unsolicited, kind act from someone who didn’t know how unhappy I was or how much I needed some positive feedback. Grief touches us all, especially as we get older and we begin to lose friends and family around us. We need to be able to understand and accept “grief” as a part of our life experience before and after a loss. I met Linda Shaw many years ago through our mutual love of quilting. We reconnected after our husbands, Bob and Gary, were diagnosed with Parkinson’s. We’ve shared our experiences, strength and hope through the years sharing this process. Sadly, Bob passed away on December 23, 2018 (Gary’s birthday) not from Parkinson’s, but from cancer. On one occasion I shared with Linda what I was going through, how I felt. Linda told me that what I was feeling was Anticipatory Grief , a grief that comes about before the death of someone we care about. Anticipatory grief is a common reaction among people who are facing the eventual death of a loved one. While most people are familiar with the grief that occurs after a death (conventional grief), this kind of grief that occurs before a death is not often discussed. Because of this, some people find it socially unacceptable to express the deep grief and pain they are experiencing and receive the support they need. Anticipatory grief is defined as grief that occurs before death (or another great loss) in contrast to grief after death (conventional grief). Rather than death alone, this type of grief includes many losses, such as the loss of a companion, changing roles in the family, fear of financial changes, and the loss of dreams of what could be. Anticipatory grief can be similar to grief after death but is also unique in many ways. Grief before death often involves more anger, more loss of emotional control, and atypical grief responses. This may be related to the difficult place – the in-between place people find themselves in when a loved one is dying. It’s those mixed up feelings people find themselves in when they attempt to find that tender balance between holding on to hope and letting go. Not everyone experiences anticipatory grief, and it’s not good or bad to do so. Some people experience very little grief while a loved one is dying, and in fact, find they don’t allow themselves to grieve because it might be construed as giving up hope. Yet for some people the grief before the actual loss is even more severe. With Parkinson’s disease the patient and the caregiver grieve (even in anticipation) the loss of independence, mobility, friendships, life goals, and more. Saying goodbye to the relationship, as we knew it and moving into a future without the deceased’s physical presence. Grief before death isn’t a substitute for grief later on and won’t necessarily shorten the grieving process after death occurs. There is not a fixed amount of grief that a person experiences with the loss of a loved one. And even if your loved one’s health has been declining for a long time, nothing can really prepare you for the actual death. Y et, while anticipatory grieving isn’t a substitute or even a head-start for later grieving, grieving before death does provide opportunities for closure that people who lose loved ones suddenly never have. For those that are dying, anticipatory grief provides an opportunity for personal growth at the end of life, a way to find meaning and closure. For families this period is also an opportunity to find closure, to reconcile differences, and to give and grant forgiveness. For both, it is a chance to say goodbye. The emotions that accompany anticipatory grief are similar to those, which occur after a loss but can be even more like a roller coaster at times. Some days may be really hard. Other days you may not experience grief at all. Some of the symptoms one may experience is sadness and tearfulness, fear, irritability and anger, loneliness, a desire to talk, anxiety, guilt, intense concern for the person dying, physical problems (sleep difficulty and memory problems), fear of loss, compassion and concern for children. Anticipatory grief is a normal process in the continuum of grief. But in some cases, this grief can be so intense that it interferes with your ability to cope. It’s also common for people to develop depression when faced with all of the losses surrounding grief and it can be difficult to distinguish grief from depression. There is no right way to feel or grieve. There are stages of grief and its important to note that most people do not neatly follow these stages one by one and find that they wake up one morning feeling they have accepted what has happened and have recovered. Instead any of the stages may be present and you may find yourself re-experiencing the same feelings of shock, questioning or despair many times over. Grief is like living two lives; One is where you “pretend” everything is alright…And the other is where your heart silently screams in pain. ﻿ At the Parkinson's Tri-Valley Support meeting on April 13, Lori Santo from Rock Steady Boxing (RSB) East Bay in Concord will present the history and basics of RSB. Take this opportunity to learn how this exercise program became so popular and has helped many people with Parkinson’s and Parkinson’s variant conditions. If we have a minimum of 12 People with Parkinson’s or a Parkinson’s variant who are committed to attend classes, the Rock Steady Boxing East Bay will look into a plan to bring their program to the Tri-Valley. Are you seriously interested in participating in a new branch of RSB in the Tri-Valley, possibly Dublin or Pleasanton? If so, please contact Mary Behrendt at mary.behrendt@comcast.net or come to the Tri-Valley Parkinson’s Support Group meeting on April 13 at the Pleasanton Senior Center from 10 am- 12 noon. The address is 5353 Sunol Blvd., Pleasanton. The speakers (2) at the April general meeting of PNMD are from the Michael J Fox Foundation. The foundation is focused on finding a cure for Parkinson's Disease and developing therapies for its treatment. It is the largest nonprofit funder of Parkinson's drug development in the world. The foundation has a long-term observational study with more than 32,000 people with PD and their loved ones, including caregivers, participating online at foxinsight.org. The foundation has also partnered with 23and Me to capture genetic data and matching genotypes and phenotypes. There is also the Parkinson's Progression Markers Initiative (PPMI) which influences clinical trial design and is geared toward improving understanding of the natural history of the disease. Short videos describing these various aspects of MJFox Foundation can be found on its website, www.michaeljfox.org. There will be some material on the library table as well. The Parkinson Foundation, a different entity, has new Helpline Hours: 9 a.m. - 8 P.M. EDT. Their number is 1-800-4PD-INFO (473-4636). The web address is: Helpline@Parkinson.org. Another website of interest is that of the American Parkinson Disease Association - apdaparkinson.org. On April 2, 2019 they have a webinar titled "What to Do When Your Meds Stop Working". This is scheduled for 12 - 1:00 p.m. EDT. Previous webinars are available on their website under Education and Support such as "Managing your Symptoms" from Jan. 29, 2019. Please stop by the library table: borrow a book, find a helpful/informative handout, look at a brochure, pick up a free notebook or lip balm. If you have any suggestions for reading material, please speak to me or Linda Madden. Dues are still $50 per household. You can either mail a check, pay in person at the next Saturday support group meeting, or pay online at the 'Join or Renew' tab of our website www.pnmd.net . Thank you for supporting PNMD! 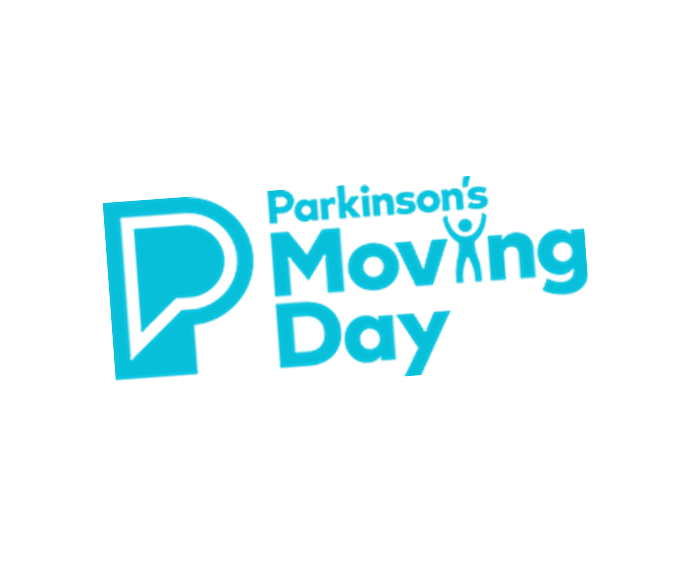 Moving Day is more than just a walk… it’s about supporting your Parkinson’s community, sharing your story, honoring your loved ones and encouraging others to help us beat Parkinson’s disease (PD). Has your voice gone soft? Do you wish people could hear you better? The Tremble Clefs sing every week! Please contact activity instructor for further details and fees. You can stop paying insurance and registration—and get a tax deduction. If you have any questions, call the vehicle donation program at 877-999 8322. First Monday of each month, 10:15 a.m.. Hillside Covenant Church, 2060 Magnolia Way, Walnut Creek. Open to all members. 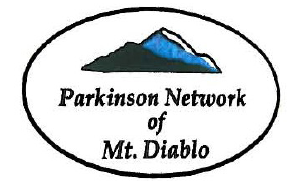 The Parkinson Network of Mt. Diablo Support Group meets on the third Saturday of every month, from 9:00 a.m. to noon at Grace Presbyterian Church, 2100 Tice Valley Blvd., Walnut Creek. All are welcome and there is no charge. No RSVP’s needed. Men with Parkinson’s Disease Only: For men newly diagnosed or who’ve had PD for years: time to share, laugh, and learn from each other. Meeting location is the Fireside Room at Grace Church. Contact person is Derek Ransley, dransley@comcast.net (925) 944-0162. Women with Parkinson’s Disease Only: For women newly diagnosed or who’ve had PD for years: time to share, laugh, and learn from each other. Meeting location is the Library at Grace Church. Contact person is Rosemary Way, rose.way@sbcglobal.net (925) 939-7665. Caregivers Only: Caregivers discuss issues relating to their roles. Meeting location is the Sanctuary at Grace Church. Contact person is Jan Alioto, jalioto@comcast.net (925) 890-8937. 10:15 a.m. to 10:30 a.m.-Assemble in Oak Room . The PNMD Library, with books, flyers, videos, etc. is open at this time. Bill Clinch, Moderator, will introduce new members and make announcements. 11:45 a.m. to noon Q&A, Wrap up. General questions may be directed to Abraham Raja at (925) 939-4210 ; Lance Gershen, Program Chair (925) 932-1028. Meets second Saturday of the month, year-round, from 10 a.m. to noon at the Pleasanton Senior Center, 5353 Sunol Blvd., Pleasanton. This is a support group and learning session that is open to all who want to learn about PD. Facilitators are Norman & Jackie Bardsley, (925) 831-9940. Donations and Memorials: Please mail to P.O. Box 3127, Walnut Creek, CA 94598. Disclaimer: This newsletter is published to increase awareness of problems related to Parkinson’s Disease. Neither PNMD nor its members make any warranty or assume any responsibility as to the accuracy, completeness, or usefulness of any information presented. The editor’s opinions are strictly his own.